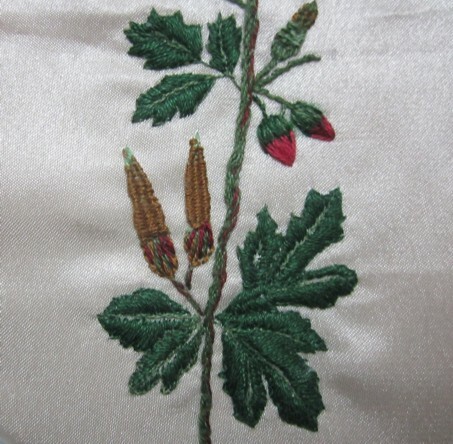 Ravings of a Mad Crafter: Herb Robert Revisited or Stumpwork Embroidery Again! 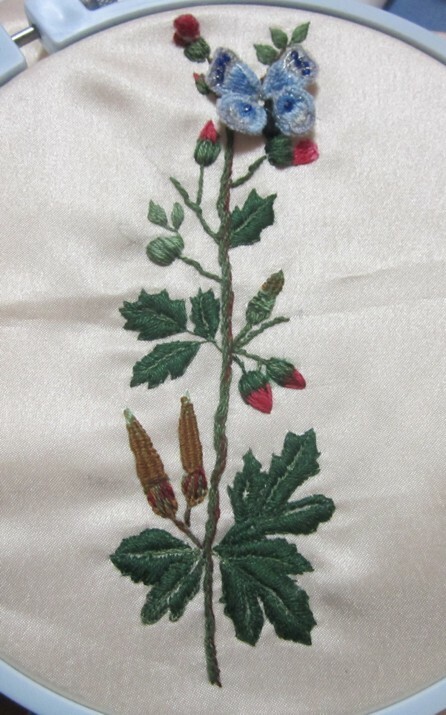 Herb Robert Revisited or Stumpwork Embroidery Again! Last February I started working on an embroidery from a Jane Nicholas book. The pattern was for a flower called Herb Robert. Finally it is slowly getting finished. The biggest issue I had was the fuzziness and thickness of the floss. Even using one strand of DMC it did not give the crispness and fine detail that I wanted. So I decided to change to silk sewing thread and I am very happy with the results. 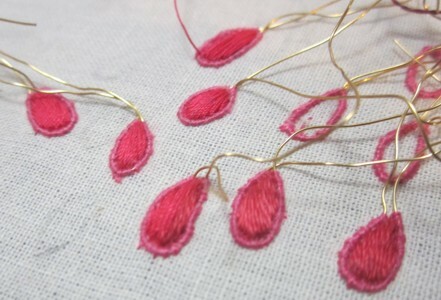 I was so amazed when the sewing thread matched perfectly with the flower colors I chose for the embroidery! So today I worked on the stumpwork petals to finish the flowers. They had already been worked in floss as outlines over a wire, just had to fill them in! The seed pods were changed from the original design. Here they were woven over three threads that meet at the seed pod top. This is going to the Fair this year! Here are a few pictures. Close-up of Herb Robert showing the seed pods.